This is Peru, one of the few countries in the world with such diverse ecosystems and places. 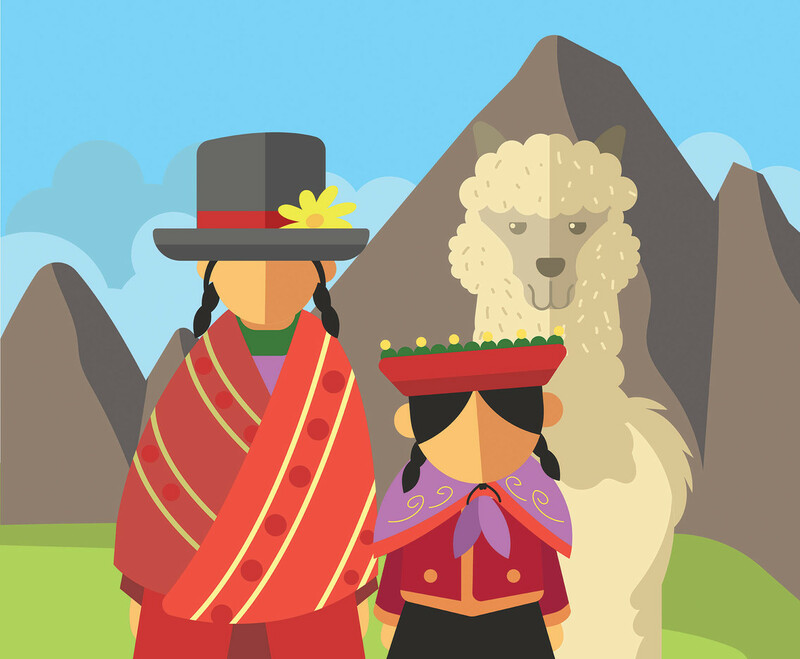 Here is an illustration depicting peruvians in their traditional clothing, a llama, and the iconic Machu Picchu in the background. I hope it's useful for your design projects.